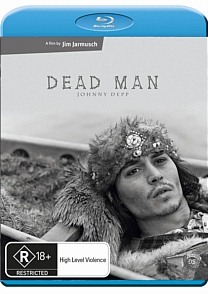 To date the only artistic pairing between Johnny Depp and distinctly left of centre director Jim Jarmusch, Dead Man sees a Cleveland accountant with the unlikely name of William Blake (Johnny Depp) travelling to the town of Machine, in the industrial hinterland of the Wild West, to take up a bookkeeping position. The promised job turns out not to exist, the people populating the town of Machine are an endless parade of grotesques and the frontier environs itself is a dreamscape of hellish surrealism. Through a series of violent misadventures the naive Blake finds himself on the run in the company of a large Native American called Nobody. Convinced the hapless Blake is the reincarnation of the English poet who shares his name, Nobody helps him outwit a trio of bounty hunters, and the pair make their way across the country on one of the most allegorical, expansive and bizarrely beautiful journeys ever committed to film. A study in postmodernist cool, this ‘Acid Western’ is frequently confronting and occasionally downright bewildering, but it’s also a fascinating and stunningly authentic portrayal of American life in the late nineteenth century (reportedly a large chunk of the film’s $9 million budget was spent maintaining historical accuracy). 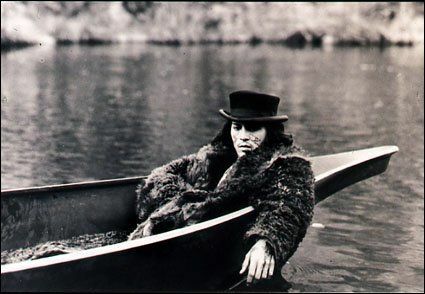 The costumes and performances are straight out of the silent era, and when dialogue is utilised it tends to be poetic and starkly significant, as when Nobody quotes the poet William Blake or when one of the bounty hunters informs his partners to ‘expect poison from standing water.’ One of the most beguiling and hypnotic films of the 90s, Dead Man tends to either enrapture or enrage viewers, but there’s no denying the brilliance of its performances or execution. The film’s score was reportedly improvised by Neal Young in a single sitting, with him watching an early cut of the film and strumming along on an electric guitar and cheap amp. The end result is a sparse and haunting score which perfectly suits the subject matter and sounds brilliantly resonant in lossless 2.0. Picture quality is likewise a study in perfection – the black and white favoured by Jarmusch always translates nicely to the small screen, but on Blu it looks magnificent. Plenty of depth and gradient, and the perfect medium for cinematic history’s strangest and most idiosyncratic Western. 13 minutes of outtakes and deleted scenes (in rather rough video-quality standard definition), the original music video for Neal Young’s ‘Dead Man Theme’ and several trailers.